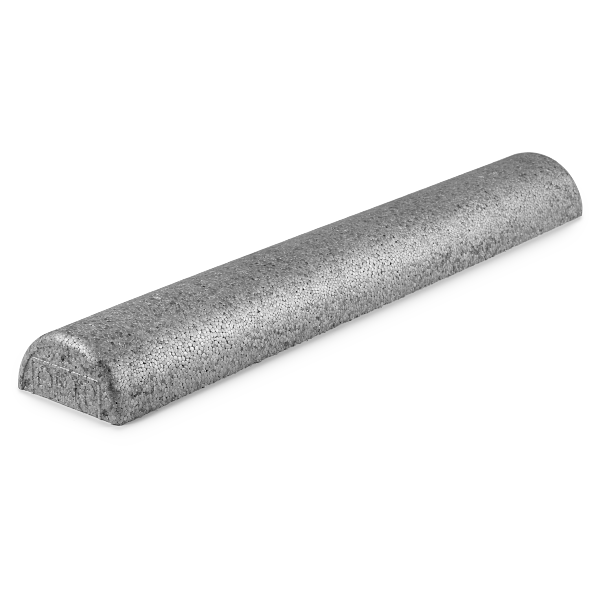 Full-round model - 36" L.
Full-round model - 18" L.
Full-round model - 12" L.
Half-round model - 36" L.
Half-round model - 12" L.
This durable, moderate density foam roller is ideal for self-massage, myofascial release, stretching and Pilates. 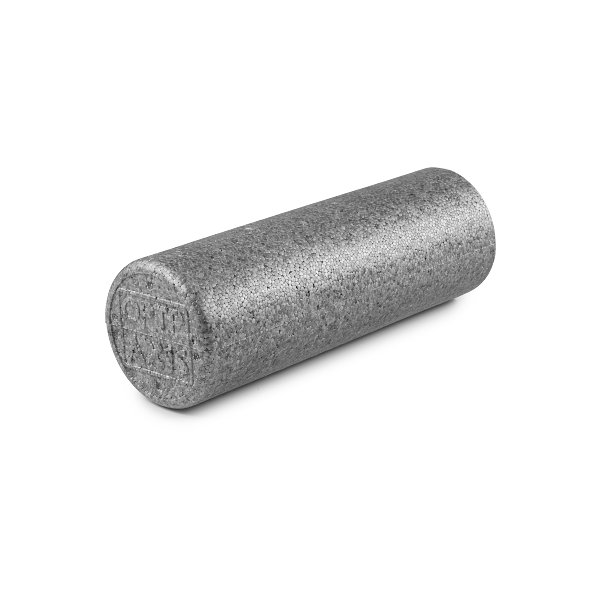 The moderate density makes the Silver AXIS® Roller firm enough for myofascial release to aid in workout recovery, yet soft enough to comfortably perform exercises for improved balance, stability, flexibility and function. 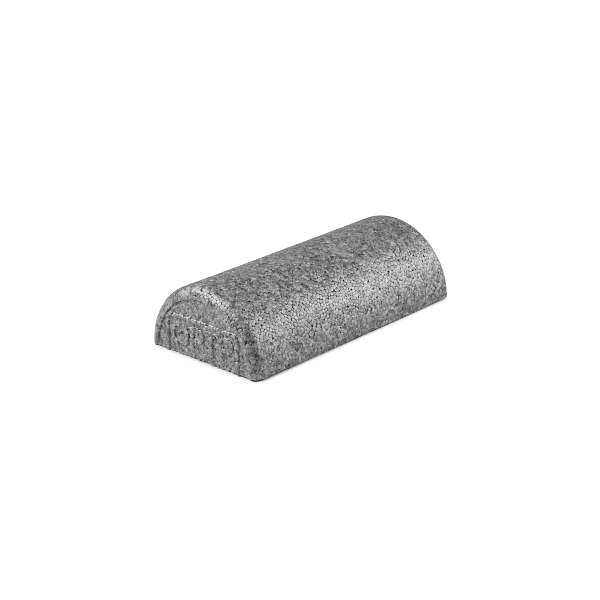 This foam roller is ideal for those just beginning foam rolling, and experienced athletes alike. Made of heat-molded foam beads for a smooth surface this eco-friendly roller has long-lasting durability, even with heavy use and can be easily cleaned with soap and water or antibacterial wipes. Available in multiple sizes for a variety of users and applications. 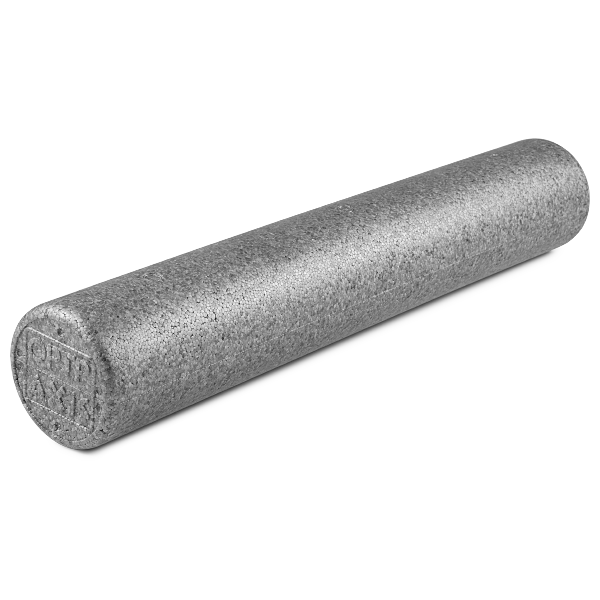 The traditional 36” long x 6” diameter size is perfect for rolling out larger areas such as hamstrings, quads and back. Smaller sizes allow for more targeted work on hard-to-reach areas like IT bands, calves and arms. Half-round versions are ideal for use in Pilates, yoga and for general workouts. View all available sizes in the dropdown menu. 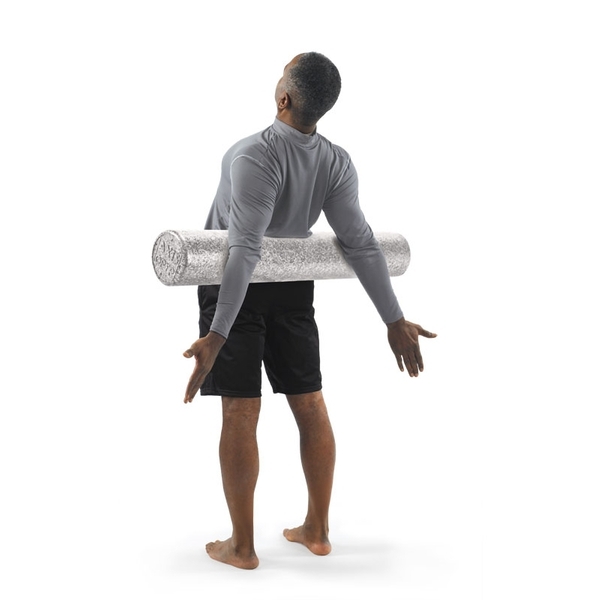 The traditional 36” length x 6” diameter full-size roller is ideal for rolling out larger muscle groups, helping to lessen tension, promote recovery, and restore mobility. The 18” length x 6” diameter roller allows for more targeted massage of smaller muscle groups, and also offers great portability. The compact 12” length x 6” diameter roller offers portable massage for rolling away soreness at the gym, clinic, or on travels. The versatile 36” length x 3” diameter half-round roller can be used for stability, core strength, and balance training, as well as rehabilitation and Pilates exercise. The flat side down offers stability; the rounded side down provides dynamic instability. The versatile 12” length x 3” diameter half-round roller can be used for stability, core strength, and balance training, as well as rehabilitation and Pilates exercise. The flat side down offers stability; the rounded side down provides dynamic instability. The Galaxy AXIS Standard Foam Roller Set includes two full-size 36" x 6" rollers, two 12" x 6" rollers, one half-round 36" x 3" roller, and two half-round 12" x 3" rollers. The foam rollers were priced well, however they were a bit flimsy. They do not appear like they will last long with repetitive use. I wish I had purchased the white/sturdier rollers. Hi Rhonda, thanks for submitting a review. The AXIS rollers you received will hold up well under regular use. 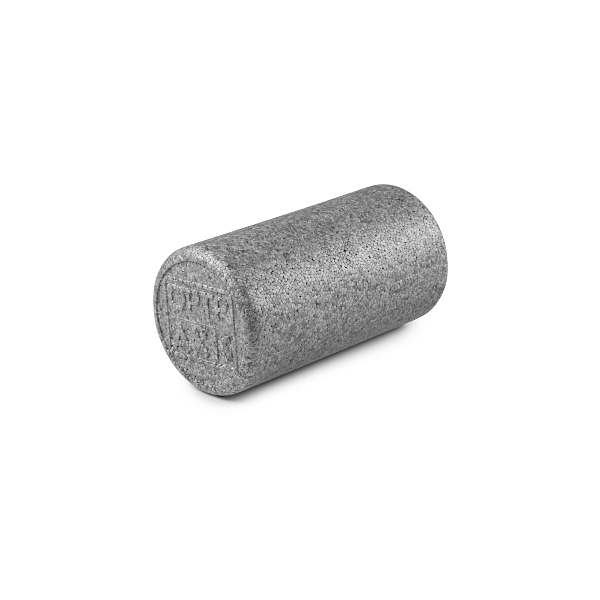 If you're looking for a roller that will withstand heavy, repeated use day in and day out, try our PRO-ROLLER -- it's a gym quality foam roller designed for professional and clinical usage. This product is a must have. It is great for stretching ankles and wrists as well as stabilizing the spine against a wall for shoulder and neck exercises. Works great at getting rid of tension in major muscles groups following my long runs!! Clients love the foam roller! Everyone loves to work out sore muscles or take their workout to the next level by challenging their core strength and balance. There is something for everyone with the foam roll! Love this foam roller. Bought 8 for my studio/clinic--I am a physical therapist and yoga therapist. It&apos;s not as soft and deforming as the standard white ones and not as firm as the black ones. It&apos;s right in the middle. Even clients that have used others in the past and have had pain using them, will comment that these are actually comfortable enough that they would use them at home. I replaced a different foam roller that eventually got a bit squished in the middle. A friend recommended this one and it seems to be better quality without being really expensive. The foam kinda looks like a rice cake because you can see all the little foam bits molded together, but it works great and seems a lot nicer than my old one. How do I choose a foam roller?